Test of Hypothesis: Standard Normal Distribution, what does Z mean? 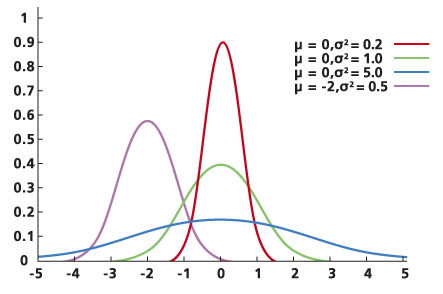 Cool, as shown below: the family of normal distributions mainly vary in their mean value and/or their variance. The standard one plays the role of being the reference distribution. Well, we can convert any normal random variable to corresponding interpretations in the standard form. Hence, we simplify different computations only using standard normal distribution. Here, we got Z as the standard normal distribution. OK, but what does this mean? Any point in X (with Mu, Sigma) can be dealt exactly as the converted point in Z with mean Mu=0.0 and Sigma=1.0. The numerator means: how much is the distance or difference between X and the mean Mu. The division by Sigma means: how many Sigmas is that difference? Totally: Z means how many Sigmas the distance between X and Mu is. This information is sufficient in further computations using only the standard normal distribution.